As reported by Variety, iconic voice actor Joe Alaskey died on Wednesday from an unspecified form of cancer. He was 63. Like many voice actors, Alaskey’s name and face might not be recognizable to most people, but his work is definitely famous. Alaskey was one of the actors who voiced Bugs Bunny and Daffy Duck in various Warner Bros. cartoons after original actor Mel Blanc died in 1989, appearing in Looney Tunes: Back In Action and a ton of other Looney Tunes shorts and video games. 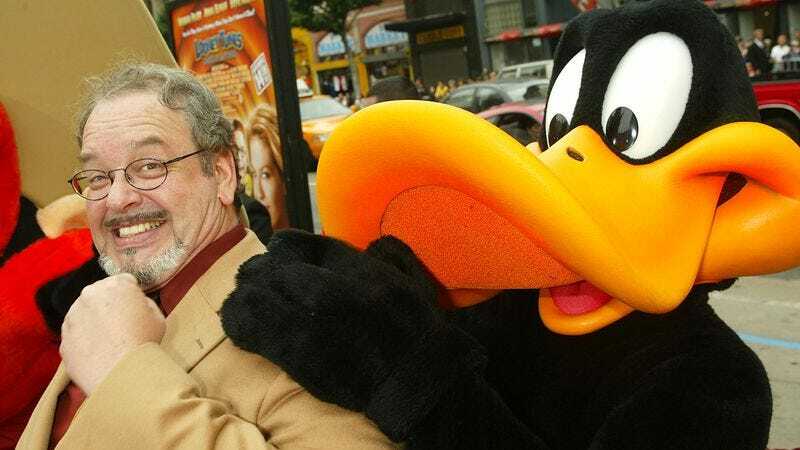 In addition to Bugs and Daffy, he also frequently popped up as Sylvester the cat and Marvin the Martian, and he played both Yosemite Sam and Foghorn Leghorn in Who Framed Roger Rabbit. In the ’90s, he got a Looney Tunes character of his very own, playing Plucky Duck in Tiny Toon Adventures and its spinoff The Plucky Duck Show. A skilled impressionist, Alaskey also provided the voice of Richard Nixon in Forrest Gump and replaced original Rugrats voice actor David Doyle as Grandpa Lou when Doyle died in 1997. Alaskey played Grandpa Lou in all of the Rugrats movies, and reprised the role in the show’s All Grown Up! spinoff in the early ’00s. More recently, he played Droopy in a few Tom And Jerry videos, provided the voice of The Green Loontern (Daffy Duck with Green Lantern powers) in Lego Batman 3: Beyond Gotham, and narrated the Investigation Discovery series Murder Comes To Town.